Solihull Police have released CCTV images of two people they would like to speak to after a man had his teeth knocked out in an assault in a park. 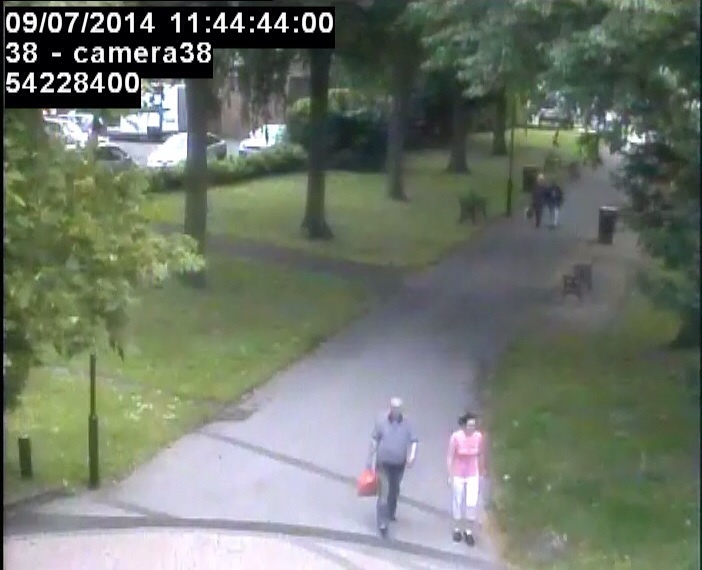 The 69-year-old was walking his dog in Shirley Park at around 11.45am on 9th July, when he was approached by a man and a woman, who told him he needed to put his dog on the lead. The man then punched the dog walker to the face, causing him to lose four of his front teeth. The man is described as white, aged 40 to 50, with short fair hair. He was with a woman who is described as white, of a slim build, with dark shoulder length hair. Detective Constable Ruth Morris is investigating the incident and said: “Shortly before the assault, the woman mentioned that she was allergic to dogs − so this may hold a further clue as to her identity. “We have carried out numerous inquiries in the area, including a CCTV trawl, and we have come across this image of two people who we are keen to identify.